Programming is a very good skill to have. The most important thing about programming is to practice. The more you practice, the more your skill will grow. But, to do that we don’t always have PC with us to code. Sometimes we have to move on. 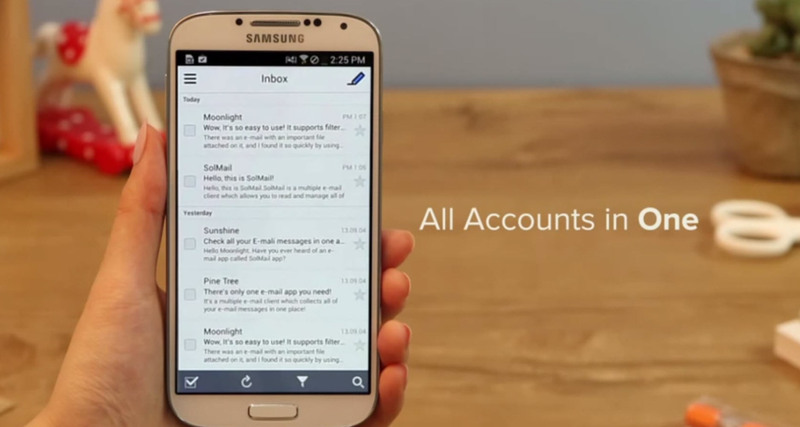 In those situations, you can get a helping hand from your Android phone. 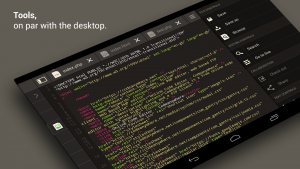 Because, there are some cool and useful IDE/code editor for Android out there. You will get an idea about them from this article. If you are learning the Java language, then Java Editor could be one of the best editor for you. It has a very simple user interface. It offers some cool features like auto – completion, search and replace text. And the most important thing like coloring the attributes, syntax nodes, events etc. are also available in it. So, for the Java coder, it could be a very useful IDE. It is a very advanced and resourceful application. It can be used for coding in Java, C, and C++ language. 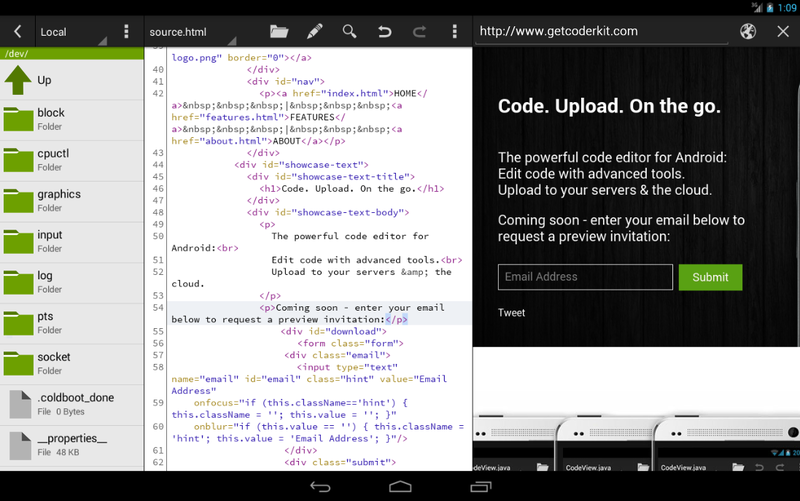 Additionally, you can also edit HTML documents with this app. 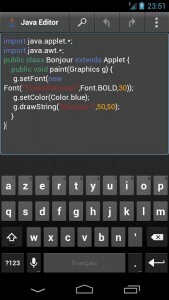 This app also offers some good tools for the Android app developers. Whether you are a web developer or a Programmer, you will find this app very helpful. 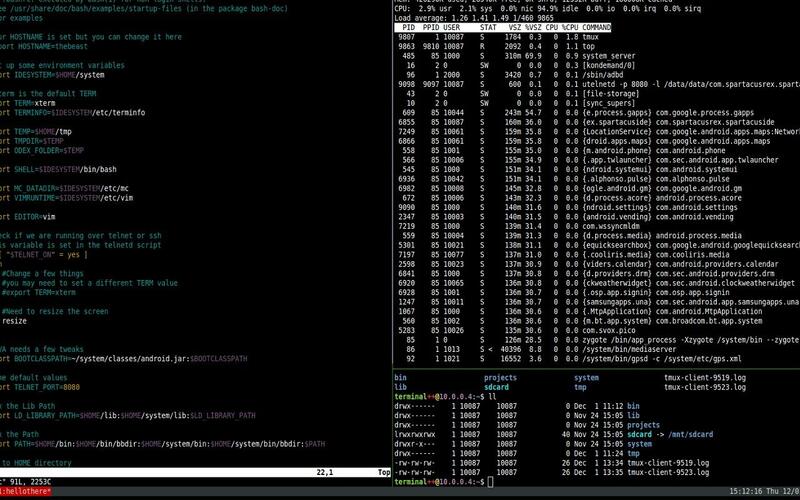 This app is a very powerful, expandable terminal application, where you will be able to code and use it as an IDE. So, if you are an advanced developer then it is one of the best apps for you to code. This is an app which is a very good app for the fresher’s who want to code on their Android smartphone. It offers replace, search, undo-redo, syntax highlighting etc. This editor also supports most of the popular programming languages such as – Python, C, C++, C#, HTML, CSS etc. And also supports some other advanced languages as- CoffeScript, Haskell, Groovy, & Closure. So, whether you are a web developer or a programmer, you will love it for sure. If you are an Android app developer then you will love this app. By using this app, you will be able to develop Android apps on your very Android phone. It has many attractive features. 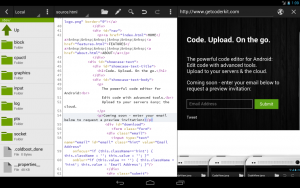 If you are a newbie or an advanced coder, this app has to offer you. For the beginners, this app has step by step coding lessons & awesome tutorials for developing new apps. It can easily check errors on your code in real time. You can also visually design any Android apps. 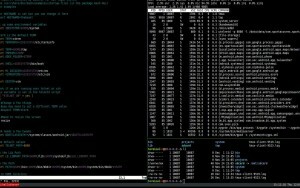 It supports code syncing on cloud storage like Dropbox, Drive etc. 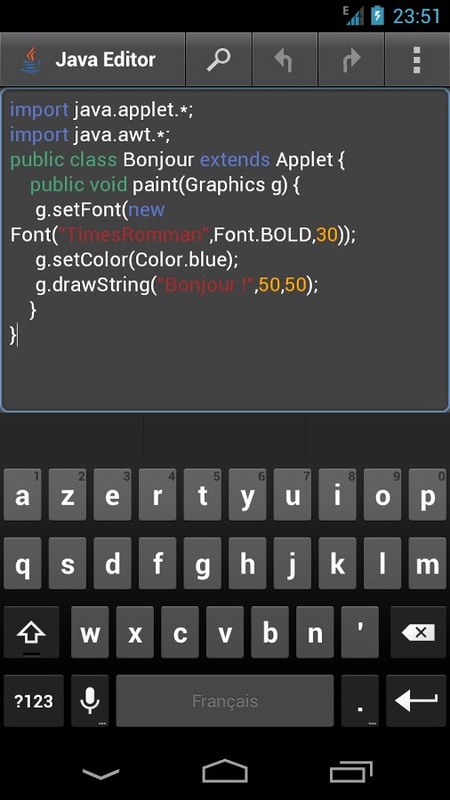 So, you can easily code on the go. And if you are an advanced developer, this app has the ‘Git’ support for you. 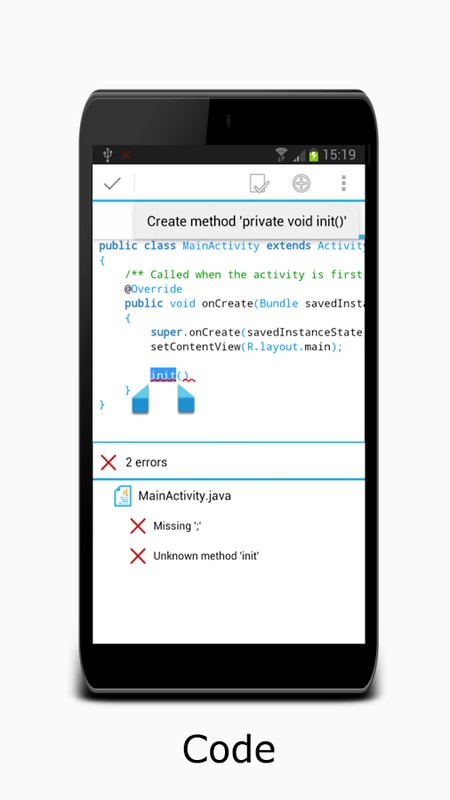 So, in a few words, we can say that this app is the Heaven for the Android app developers. This is another very user-friendly code editor. It offers some cool features, like syntax highlighting, supporting cloud storage & FTP/SFTP servers. And it also supports extended keyboard, cross-session editing, and download source code directly from URL etc. It also offers auto – indentation, code-completion, auto encoding detection, HTML formatting, color picking and so on. Though not all of the features come for free. Most of them are free, but for getting all of the features, you have to buy the premium version of this app. This app supports coding in C, C++, C#, ActionScript, HTML, Haskell, Java, Python, Ruby and many other programming languages. So, without any doubt, you can try this app out. There are many people who don’t know that they can code on their Android phone. For all of you, we have compiled this article where we have tried to introduce you to some very useful apps. We are hoping that you will try these apps out on your Android device. And from now on, there will be no stopping you from coding, on-the-go. Happy Coding!